Creating a Safety label on the Dymo XTL 500 is a very simple task, because the XTL has built-in templates and a great on screen display which shows exactly how your label will look when it is printed. 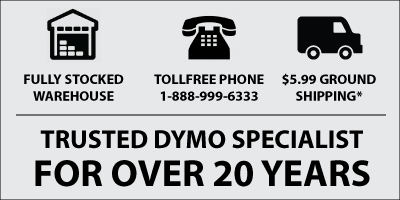 The Dymo XTL 500 is the flagship model in the Dymo Industrial Label Printer range. It prints on labels ranging from as small as 1/4" wide right up to 2" wide, and labels come in various materials, including Vinyl, Polyester (plastic), Heat Shrink tube and Flexible Nylon. There's a whole bunch of colors available to, making the XTL label range quite large. There's a bunch of labels in the XTL range that are specifically designed to be 'warning' labels, and one such item is the Dymo XTL 1868713 Orange Header label. This label measures 2" x 4" and is predominantly white, but it has a pre-printed orange header section. To create your warning label is simple. On the XTL 500 you simply press the HOME button, scroll to 'WARNING LABELS', enter your text and/or add graphics, then print your label(s). Dymo have gone to great lengths to ensure that label design, creation and printing on the XTL is as simple as can be, and they've haven't missed the mark with warning labels. They're so easy to create, they look very professional and the label materials used are of such high quality.